Stana Katic is one of the most passionate actresses I’ve ever interviewed, and that extends to her love of independent films, her environmental initiative, the Alternative Travel Project, and children’s welfare. So needless to say, I was a bit surprised when she revealed the creative endeavor she’d like to tackle next: rapping. Of course, that got me thinking…I always trip over words in rap songs and wish I could sing an entire song in the car effortlessly. What if Stana and I actually learned how to rap from one of her idols? 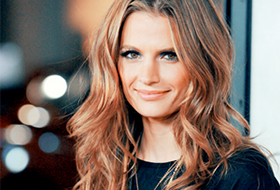 Are you guys surprised that Stana wants to learn how to rap? What do you think? Should we try it? 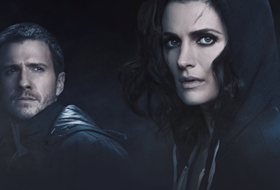 The next all-new episode of Castle airs Monday, March 16, after the premiere of Dancing With the Stars.